The students were tested about their knowledge of recyables and things green during an assembly. Sixth grade students at Beck Middle School got a lesson in recycling today as part of America Recycles Day. The sixth grade class at Beck took part in the SCA Trash Day Challenge. Representatives from each of the grade’s three teams tested their knowledge of recyclables and all things green during a fun-filled assembly hosted by the school’s Environmental Club and SCA. SCA is a global hygiene and forest products company with North American headquarters in Philadelphia. 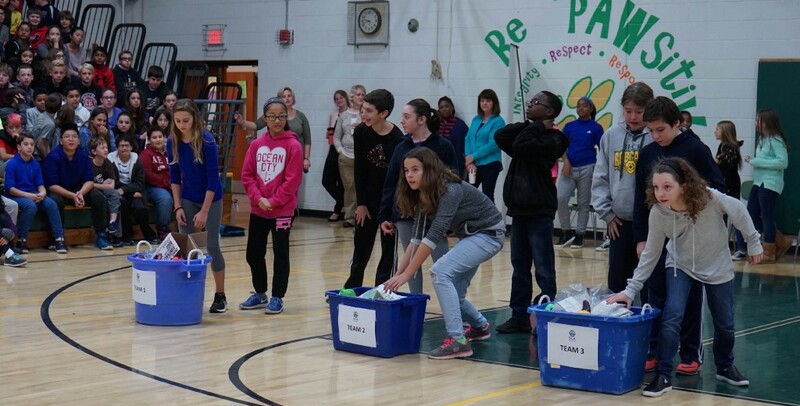 Each of the three sixth grade teams had representatives that competed in a two-minute dash to sort items into one of three bins — trash, compost and recycling.